Move or Improve? Convert a basement or loft maybe? Moving house is well-known as one of the most stressful experiences a person can have though, when more space is needed. With the government-backed scheme to boost mortgage loans being scaled back many house owners are considering whether to avoid moving altogether and choosing to convert a basement or loft to create the addition living space. Aside from the cost of a new, larger property, there are a great number of other financial factors to take into account. 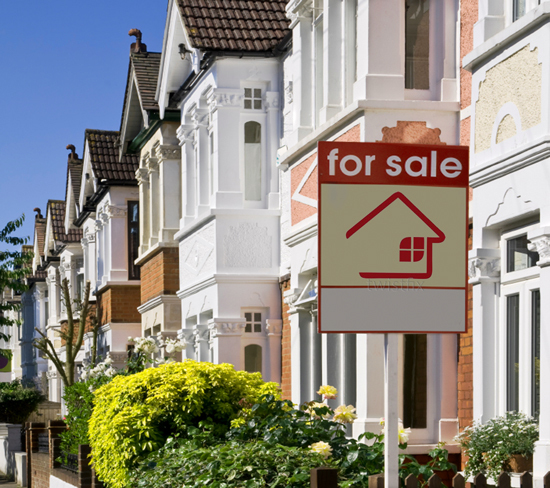 Legal costs, stamp duty and surveyor and estate agent fees quickly mount up; money that could perhaps be better spent on home improvements such as basement and loft conversions. Whether an existing underground space is used for basement living or whether a new space is excavated, preventing water ingress is of paramount importance in any cellar area. Surrounded by damp soils, basements are particularly susceptible to the damage caused by excess moisture such as leakage via cracking brickwork and the growth of unhealthy and unsightly colonies of mould. Twistfix supply a wide range of basement waterproofing systems and solutions that have been expertly-designed before being manufactured to the most exacting standards, meeting and exceeding all official specifi­cations. The comprehensive selection of basement waterproofing materials available from Twistfix includes the Basement Pump Plus Kit, a twin sump and pump water control system that is designed for heavy-duty use. 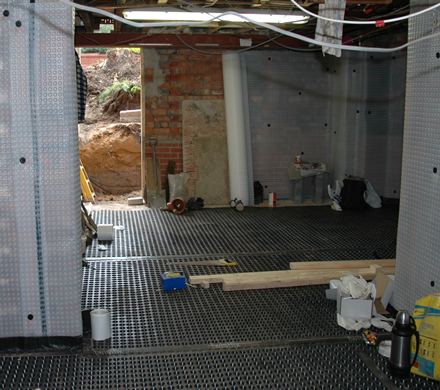 By effectively removing all groundwater from cavity drain waterproofing membrane systems, also available as part of our cellar waterproofing range, two powerful pumps ensure that the basement conversion will be a success, leaving a consistently dry and welcoming atmosphere within. Roof Loft Insulation Spray is quick and simple to apply. 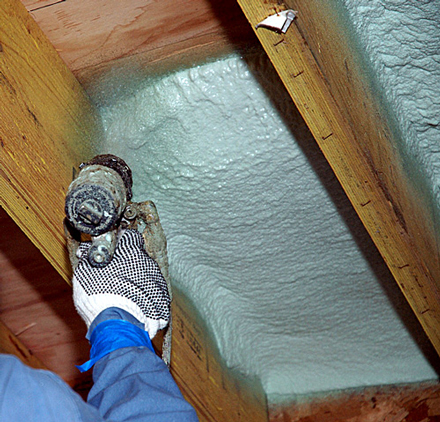 Used beneath roof tiles, the closed-cell polyurethane Spray foam insulation expands to seal all gaps, instantly reducing heat loss and preventing any slippage of tiles. 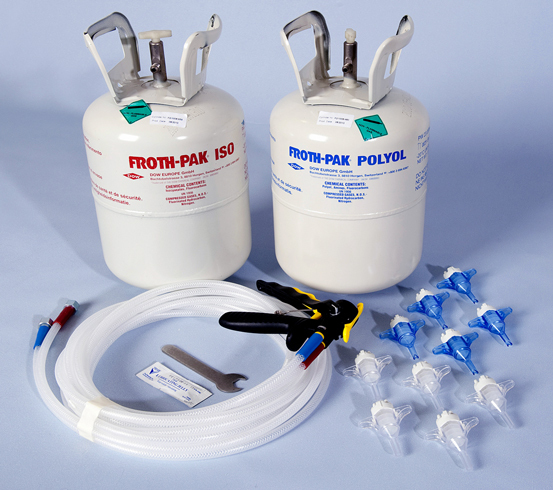 Twistfix spray foam insulation can be supplied in a complete kit which contains a dispensing gun and several spray nozzles for total accuracy. An average of 52 square metres can be treated at optimal temperatures with one kit, offering fantastic value-for-money. 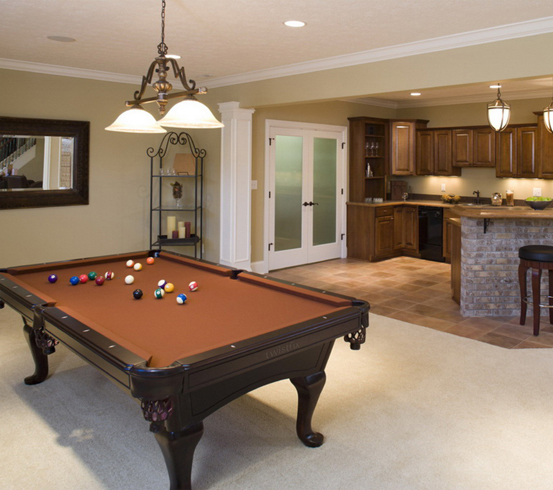 More and more homeowners are opting to convert a basement or loft in order to save the considerable amounts of time and money that are needed to move house. Our products are designed to facilitate these projects. For further information on our superlative range of basement waterproofing and damp proofing products, please contact our team on 0845 123 6006 or email us at sales@twistfix.co.uk.